UnTour Food Tours is proud to be a sponsor of Chi Fan For Charity Shanghai for the second year in a row! We’ll be hosting a Night Eats + Wine Pairing tour for 10 guests on Saturday, November 17 at 7pm. You can book your tickets by emailing directors.cffc.sh@gmail.com – and 100% of your ticket will go to charity! Plus you’ll get access to the after party and raffle (where you can win even more fun stuff, like UnTour Food Tour gift certificates, amongst other great prizes). 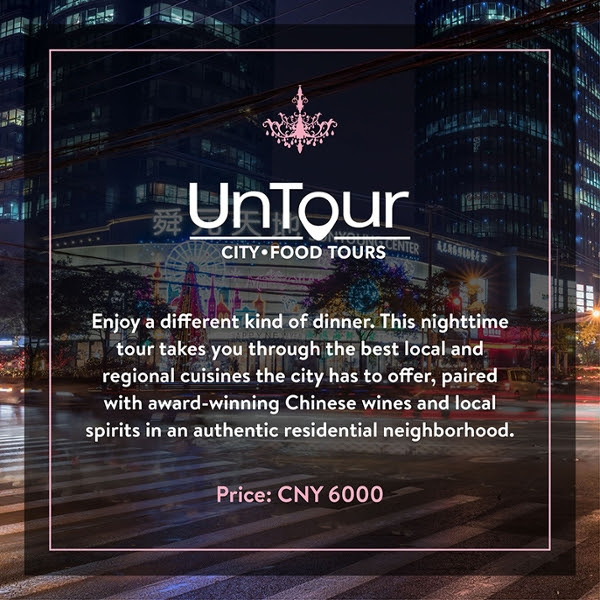 For our friends participating in Chi Fan for Charity in Beijing, check our UnTour Food Tours raffle and auction prices at the after party there on Nov 10! What is Chi Fan For Charity (CFFC)? CFFC is an updated and contemporary approach to the charity gala dinner. 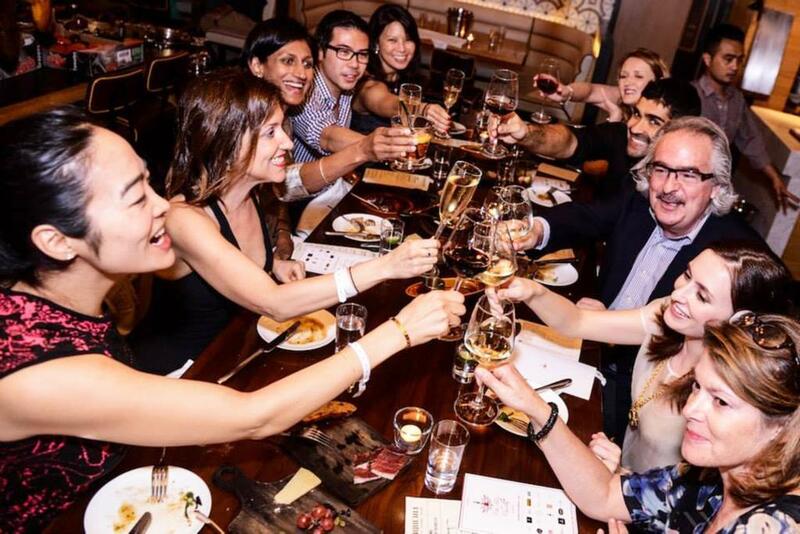 Taking place at various renowned restaurants across the city on the same night, participating restaurants donate a table of 10 each, or in UnTour’s case – 10 seats on our Night Eats + Wine Pairing dinner tour. Hosts and guests then buy these tables through CFFC with 100% of the ticket sales going directly to the charity. After dinner, all hosts, guests and sponsors unite at one location for the open bar after party. There will also be a raffle draw at the after party with all proceeds going to charity. Since 2009, the event has grown year after year, including CFFC events in Beijing and Hong Kong. Last year in Shanghai, 30 of the city’s top restaurants donated meals to over 450 dining guests raising over 205,800RMB. Who does Chi Fan for Charity benefit? This year’s charity beneficiary is Educating Girls in Rural China. EGRC’s mission is to provide financial sponsorship and emotional support for women from disadvantaged rural regions in western China to help them receive higher education. Just RMB 6,000 is enough to sponsor a year of schooling for one student. This year, CFFC’s aim is to sponsor two years of vocational school for 20 women. Your participation can help us reach that goal. 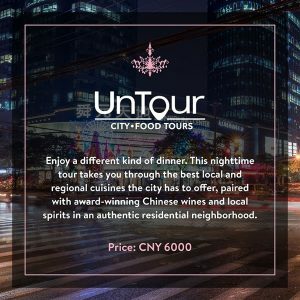 How do I book the UnTour Tour at Chi Fan for Charity? Tickets are sold by table. So designate a “table host” to make the purchase and arrange for each guest to pay her or him back. (Or treat your family, friends and coworkers to a meal to remember!). To book, email: directors.cffc.sh@gmail.com.